Hotels are a difficult business to run because customer service isn’t easy. It takes time, effort and dedication and such a business usually depends on the number of people visiting it. 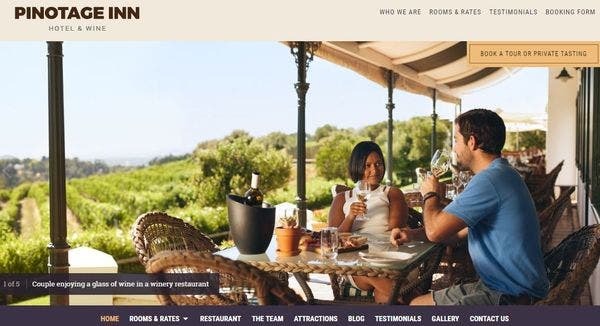 To get more people to visit their hotels, business people have started using websites. Creating a website in such a busy schedule isn’t easy. 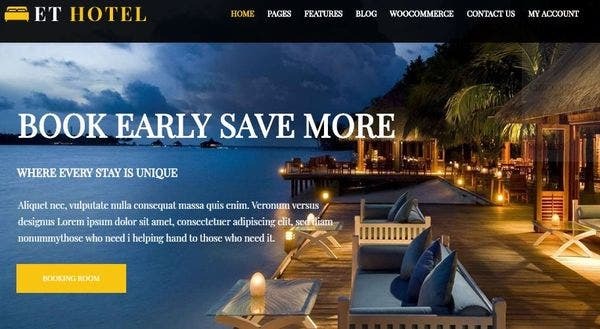 WordPress, for that reason, offers you superb hotel website templates. 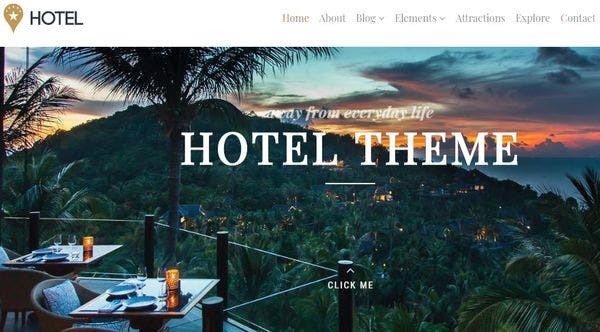 Here are 19+ hotel WordPress templates that you can choose from to help you create a website. 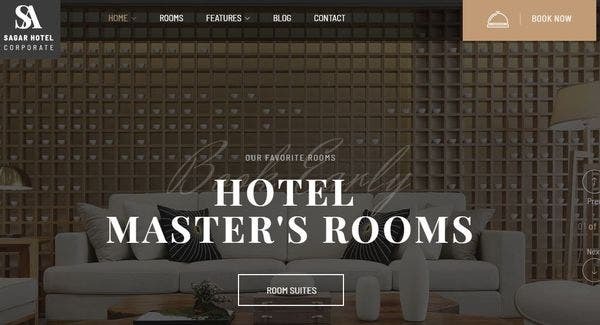 This hotel WordPress theme is built with the new, powerful drag and drop page builder making designing very simple. Additionally, Parallax WordPress themes are known for their stunning design features. It gives you multiple layout options that come with cross-browser compatibility. Sailing has a great design to it and is a fully responsive WordPress theme. It comes WooCommerce integrated into it and is beneficial for sales. It has a great hotel reservation system and since this theme is built with HTML5, CSS3 and Bootstrap3 it’s quality cannot be denied. 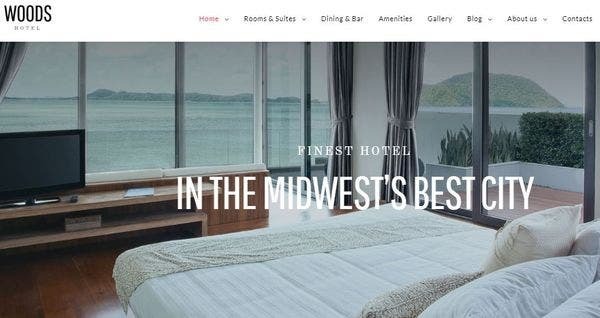 Woods Hotel WordPress theme is a WPML ready theme meaning translating your website just because very easy. It comes with a hotel booking system that you can make sure stays busy by adding pictures to this theme’s stunning media library. It is a well-documented theme with a functional commenting system. 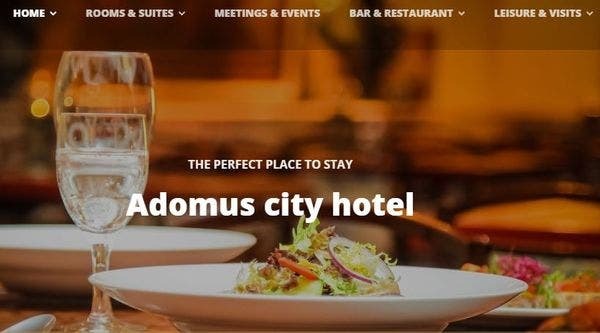 Adomus hotel and resort WordPress theme comes with an integrated PayPal and Stripe to help receive payments. It has a one-click demo installer that is WPML compatible. This is a high-resolution, widget ready, fully responsive WordPress theme that easy to edit. The support system in this theme is top rate. This is a fully responsive WordPress theme that was built with HTML5 and CSS3. It has a valid code and comes with the Cherry Framework 5 making this theme fast, lightweight and flexible. Its features also include a hotel booking system and long-term support. This theme is easy to install. 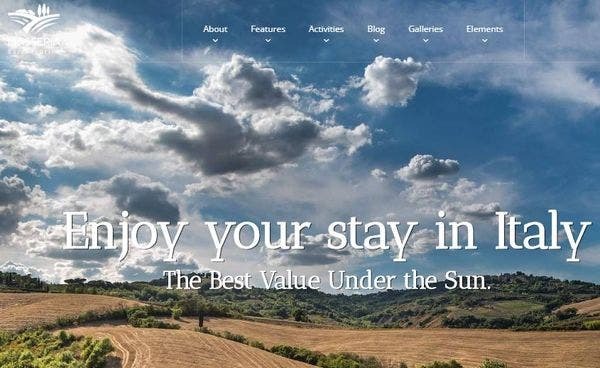 This WordPress theme for hotel and travel websites has a unique and creative design. The Place is a fully responsive, translation ready WordPress theme that has a powerful admin panel. It comes with a functioning booking system and it offers unlimited colors and backgrounds to help design a great website. If you’re big on email marketing then this MailChimp ready theme is best for you. Sanohmi has also been built with the Elementor page builder making designing and editing an easy task. 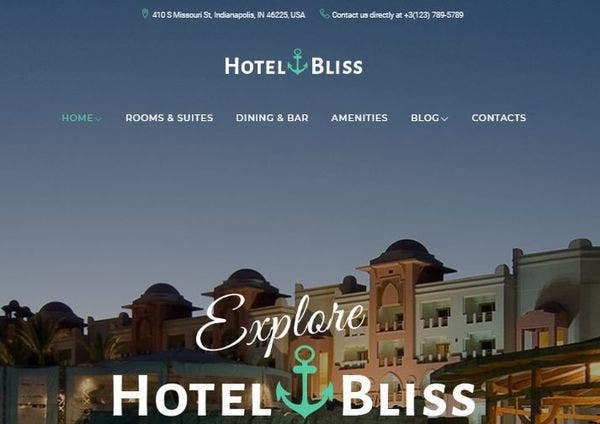 This hotel WordPress theme is also mobile friendly and has a testimonials section you can use to build credibility. 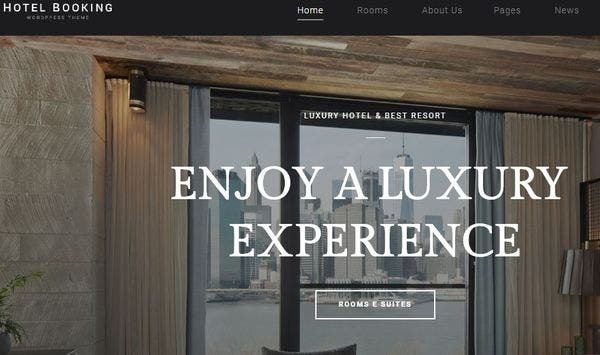 Starhotel WordPress theme is a cross-browser compatible theme that also works on various devices. It is a fully responsive theme that is retina ready and easy to build. 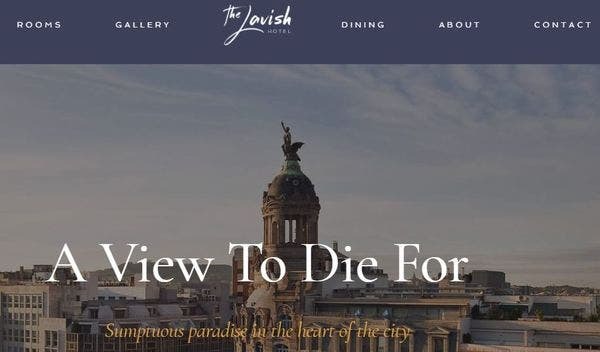 It uses lightbox to showcase its gallery and also uses parallax to enhance its aesthetic appeal. It comes with the Revolution Slider and Bootstrap. 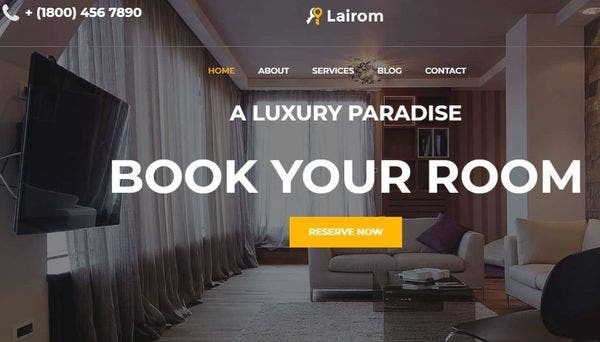 Lairom WordPress theme is a cross-browser compatible theme that is very easy to install. It is a search engine friendly theme that lets you showcase your services and testimonials to your clients. It comes with an optimized source code, it is retina ready and is compatible with the latest version of WordPress. 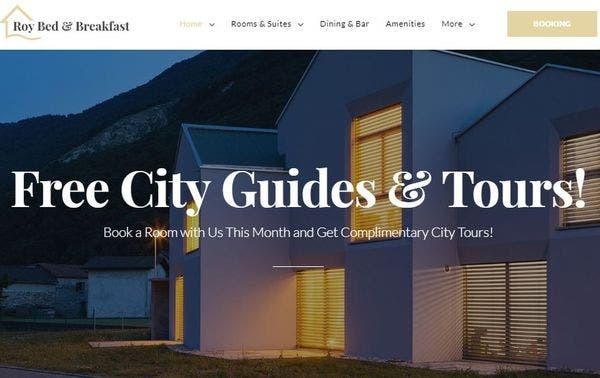 Hotel Booking theme is a simple theme but has many interesting features. It is an SEO ready theme which means it works to take your website higher in the list of Google searches. Due to its clean code, the theme runs really fast. It also comes with a hotel booking plugin. This theme comes with a one-click demo installer. Paris uses cleans codes that are thorough and detailed. It is a highly customizable theme that allows you to edit its colors, fonts, and background. It is a fully responsive theme that is built with HTML5 and CSS3. Its optimized code also makes it SEO friendly. Caballero is a great theme because it is compatible with many plugins, for example, the WPML plugin, events calendar etc. It is a mobile friendly theme that is fully responsive and easy to customize. It gives you custom page templates that you can choose from and is also SEO optimized. Oceanica comes with a fully customizable front page that allows you to make significate changes to get what you desire without coding. This theme has also been coded for SEO. It has unlimited color options and comes with an inbuilt hotel booking engine. It also has a seasonal pricing feature. 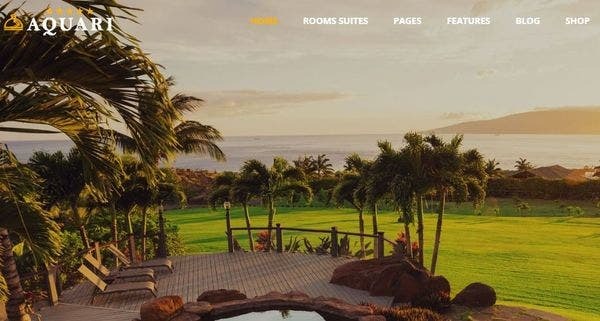 Hot Hotel is compatible with various browsers and has a valid HTML5 code. This theme comes with 4 pre-defined styles that are easy to customize. It lets you make unlimited color combinations that help you create an aesthetically appealing website. This WordPress theme comes with a drag & drop page builder that makes editing easy. It is WooCommerce ready and that means you can sell through your website. 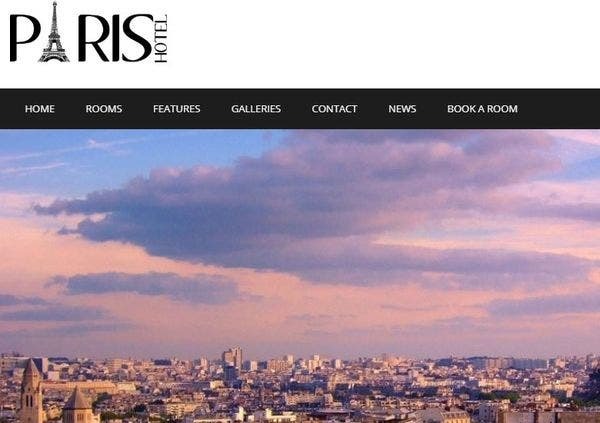 Hotel is powered by Bootstrap and also has WPML integration. It offers about 8000+ premium vector icons. Haven is a highly responsive and retina ready theme that runs really smooth. This theme is BuddyPress ready helping you build a strong connection to social media. It has a one-click demo installer and comes with the Visual Page Builder that enables the easy drag and drop design method. Aquari comes with the WPBakery plugin that makes designing the website an easy task. It comes with an inbuilt Instagram feed to keep you stay connected with social media. It is also WPML compatible, it is fully responsive and retina ready. This theme is also compatible with Gutenberg. 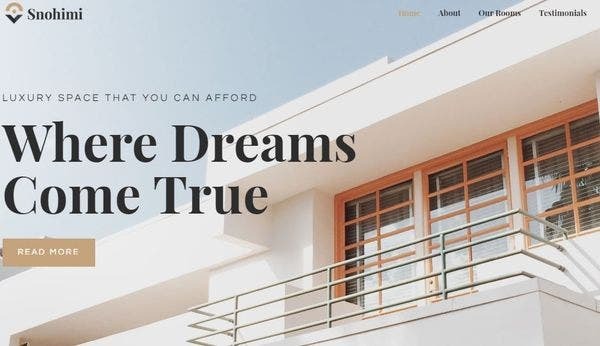 Masseria is a fully responsive WordPress Theme that is also translation ready. It comes with a one-click demo installer which is highly beneficial because it saves time. This theme comes with social media integration and cross-browser compatibility that are highly valued in today’s market. 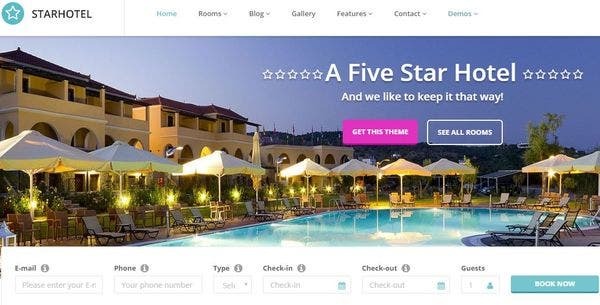 Genesis Framework is a great platform to create beautiful WordPress themes and ET Hotel uses this Framework to its benefit. This theme is fully responsive and is compatible with various devices. It is also WooCommerce ready and comes with custom CSS and JS codes that carter to the themes designs. 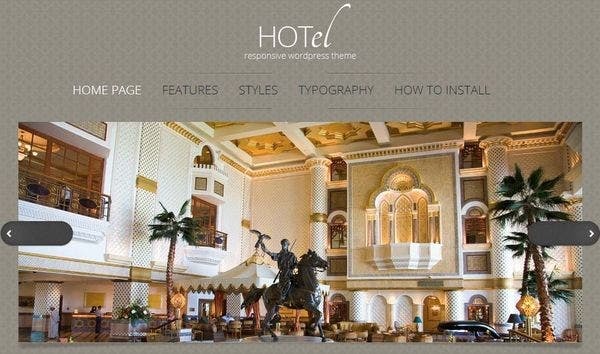 WpHotel is a great theme and comes with a whole bunch of features. It is a fully responsive theme that caters to the search engine optimization needs of the user. It is translation ready and is compatible with the latest versions of WordPress. This theme also supports WooCommerce. Every theme in the list is well-documented and ready to use. The best part about these themes is that while you edit them you do not need to know any coding. So, if you want to create a website, why wait any further? Stop waiting and start building!